the Police’s Every Little Thing She Does Is Magic. Sure, there’s no question the campaign plays that Celine Dion song. But shortly after that, when Clinton is signing autographs and avoiding interviews and getting the love from New Hampshire voters, you start to hear Sting’s bass, Andy’s guitar and Stewart’s drums. It sets a very positive tone for Clinton just as she’s about to walk out the door. I’ve heard it twice so far at her events. 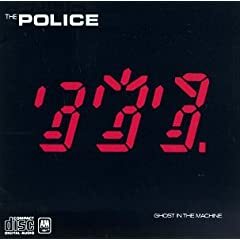 The pinnacle of the Police’s success came in 1984 after the release of Synchronicity, one of my least favorite Police albums. The first time I saw them in concert, as a 13 year old, at the Civic Center, my uncle Alvan had special backstage passes as the doctor assigned to the band if anything happened. Secretly, I was hoping that maybe Sting or another band member might need a quick check up pre- concert. This didn’t happen. Not a cough, or a fracture. They were in perfect health. We didn’t have seats so my uncle positioned us right off the stage, near some speakers. We had VIP badges so we weren’t going to be hassled. This concert had backup singers, and a whole array of musicians, and lighting, and big screens. It was exciting. Today, in 2007, I wasn’t a VIP. I was part of a whole generation for whom the Police’s blend of reggae, funk, rock, and raw edges resonated. Last night, they sounded fantastic. Paired down, just the three members, their sound brought me back to their early days where I could attend to Andy Summers versatile guitar playing, Stewart’s energy and drive, and Sting’s body! Sting’s voice was beautiful. My brother and I were wondering how they were going to do without the backup voices, and the additional instruments like the Synthesizer which played such a big role in “Ghost in the Machine” and “Synchronicity”. Andy Summer’s guitar! He was able to make his guitar sing along with Sting as well as manipulate his guitar to sound like different instruments. Seeing the Police at Fenway was a special experience and different from the concert at Dodger Stadium. At Fenway, you are sitting in a park and even though grand in the historical sense, it was an intimate experience. There were some tweaks to the performance which I was pleased about- At the Dodgers, Sting sang the chorus of “Don’t stand so Close to me” in a slow, self engrossed, solo Sting manner. At Fenway, he sped it up. Same for “Truth Hit’s Everybody”. I remember last month Sting drawing out the ” E.V.E.r.ybody” and it was kind of boring. Last night, the Police rocked it out. Maybe becauseI was in a smaller and more special ballpark, with better seats that I was able to see how much fun they were having playing together. At one point, Summers was totally rocking out on his electric guitar and Sting came over to honor his “legendary” guitarist by joining his jam session. Clearly I am no musician, just a satiated and awestruck Policephile. The Police did there homework last night. As my sister writes, it was a transcendant show. The Police bring their reunion show to Fenway Park tonight. The new tradition of bringing bands to Fenway annually is an exciting one. I’m confident The Police will meet the standard set by the Rolling Stones, Bruce Springsteen, Jimmy Buffett and the Dave Mathews Band. People who want a fix of the band can stop by the gallery at Newbury Fine Arts, 29 Newbury Street. The gallery is displaying photos taken by Andy Summers of the band during its 1980s hey day. I’m a big fan of what special events like this mean for Boston. Seeing a historic concert at Fenway Park is the kindof unique cultural offering that a great city like Boston can provide. This will be my first time attending a concert at Fenway. 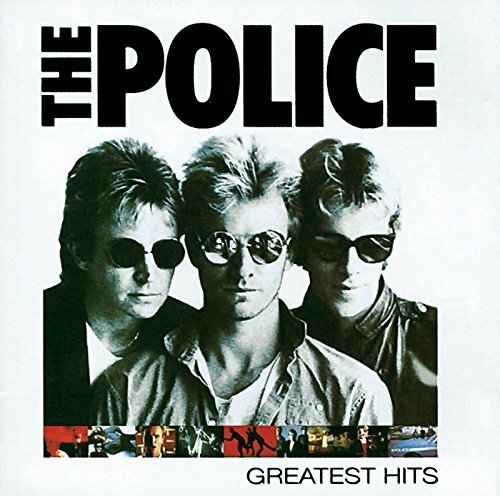 It will also be the first time I have seen the Police since my sister Deborah and I attended the show at the Providence Civic Center — little did we know that the band would break up less than a month later. Back in 1984, at the ages of 15 and 12, we scored back stage passes at the Providence Civic Center to see the Police on the Synchronicity Tour thanks to our uncle. (At that time, our uncle Alvan Fisher, was a Providence-based doctor toiling with the early onslaught of AIDS who also happened to be the concert doctor at the Civic Center.) I’ll never forget the thrill I had when Sting, clad in a Joseph of Many colors jacket, Stewart, shorts and a University of Hawaii t-shirt, and Andy, whisked by us on the way to the stage. I’ll give my sister, who somehow found her way to the band at a very young age, a chance to post her review later tonight. I’m sure Smith, as experienced a reporter as there is, wrote down her sources blind quotes correctly. But I’m just as sure her source — probably a neophyte publicist — didn’t know what he was talking about, and I have evidence to back that up. On 6 p.m. Sunday, VH 1 Classic broadcast a 1979 showing of BBC’s “Rock Goes to College” featuring the Police at Hatfield Polytechnic. Besides the spectacle of Sting singing “Hatfield Polytechnic” during “I Can’t Stand Losing You”, the concert showcased the band prior to their first American tour. Contrary to the assertion of Smith’s source, the Grammy performance of Roxanne could have been no surprise for Stewart or Andy. I counted at least three songs where the bandmembers allowed tight songs to grow with improv and extra-vocalizations — “I Can’t Stand Losing You”, “So Lonely” and “Roxanne”. In fact, the performance of Roxanne was remarkably similar to the Grammy show. The Police will perform at Fenway on July 28 and 29. You can buy tickets here.